How Many Doors Will it Take for You to Exit the Rat Race? In other words, how many apartment units do you need to exit the rat race and become financially free. This could mean leaving a job, reducing your workload to part time, or simply having financial options. How many doors will it take for you to exit the rat race, and how do you calculate that number? This is exactly what I will explain in this blog. Today you’re going to learn how many doors it will take for you to exit the rat race. Over 20 years ago, my then mentor, Robert Kiyosaki, taught me what I now cal the ABCs of exiting the rat race or leaving your job. Your rate race number is the bare minimum passive income that you need to generate in order to leave your job. I personally needed $4,200 a month in order to leave my corporate job. Don’t stop working towards this plan until you achieve it. In the middle of the journey, Robert taught us to avoid people that do not believe in you. One day, I arrived to church early, to find a woman sitting alone. I walked over her to say hello and we began to discuss what we did for a leaving. She was in high tech, and I told her that I was as well. I also shared that I was a single parent who participated in commercial real estate. Listening to these voices will cause you to lead a very, very average life. Most of my work with Robert Kiyosaki involved mindset. It involved getting beyond limiting beliefs in order to discover and go after our true potential. Everyone has tese limiting beliefs, these little voices that tell us that we cannot achieve our dreams. I have a video called, “Do You Have The Right Mindset to Own Commercial Real Estate?” I want you to watch it so that you can see the mindset you need in order to own commercial real estate, as long as the wrong mindset which will cause you to never own commercial real estate. Those are the ABCs of exiting the rate race, but there is still one key ingredient missing. The Method. The method of how to to do all of these things in the ABCs. Robert didnt give this to us on purpose, instead he brought in experts who were already doing what we wanted to do. He brought in commercial real estate experts to teach, coach, and mentor us, which was a brilliant thing to do. 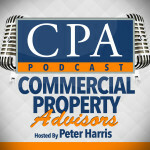 Commercial Property Advisors is a company that supplies the tools, methodologies, and strategies to get these deals done. So if you are interested in getting started in commercial real estate, give us a call and one of our staff will talk to you about it. The very beginning of determining the number of doors you need to exit the race race is to verify the ABCs. How to Calculate Your Rat Race Exit Number? The next step to figuring out your door number, is to calculate you rat race exit number. If you recall, my rat race exit was $4,200 a month. That number comprised of the cost of my mortgage, insurance, taxes, medical insurance, cell phone, utilities, food, and my son’s football expenses. It was the bare minimum I needed to leverage up. Bare minimum passive income is defined as the cost to live, without any vacation money, eating out, Starbucks, or other extras. It is the bare minimum income you need without any extra unnecessary costs. My big question for you is, “What is the exit rat race number that comes to your mind right now?” I am sure there is a number that comes to your mind, but it’s not the right number because you’re including things that you should not include. This number needs to be the bare minimum number. I would love for you to calculate it right now and share it in the comments below. There is a monthly figure that you need in order to exit the rat race. How to Calculate How Many Doors You Need to Exit the Rate Race? The next thing I want to do is share with you how to calculate how many apartment units you need to exit the rat race. If we have 16 units with rents of $850 per a month, then that would equal $163,200 in rent a year. You will not be 100% full for those 12 months so you can subtract a vacancy of 5% from this number to get a total of $155,040 per a year. 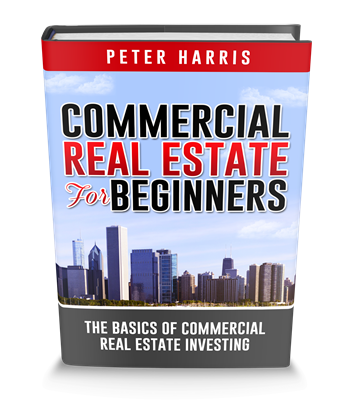 Next when you analyze any commercial real estate deal you have to take the income and subtract the expenses and mortgage from that number in order to figure out your cashflow per a year. Next you have to subtract about 40% for operating expenses which include taxes, insurance, repairs, property management, supplies, turnover, and any other operation expenses. After you have subtracted all of these expenses you wind up with $93,024 per a year. So your income minus all expenses is $93,024 per a year. This number is called the NOI or Net Operating Income. Next you have to calculate the mortgage per a month x 12 months. In this example, I bought the apartment building for $1.3 million with 25% down and a 4.5% interest rate amortized over 30 years. When you calculate these numbers your mortgage payments end up being $4,940 per a month. You multiple this number by 12 months and discover that your mortgage payment is $59,280 per a year. Next you subtract your mortgage payment from you NOI which is $33,744 per a year and your cash flow per a year number. This is a critical number because it is the total you will cashflow per a year on this 16-unit apartment building that was purchased for $1.3 million at a 7 cap. When you divide your cashflow by 12, you come up with your total cashflow per a month, $2,812. Since we are calculating how much cashflow we need to produce per a unit or door, we then divide this number by 16 units and get a grand total of $175 per a unit. So this property produces $175 per a door in cashflow per a month. You need to follow the same steps in order to come up with your personal door number, but this number is a pretty average industry wide number, so you can use it as a general example. $4,200 per month to exit the rat race, so if you divide your rat race number by the amount per a door you will get your rat race door number. So for me, $4,200 divided by $175 per door equals 24 doors. So my example deal of 16 doors will not be enough for me to exit the rat race. I need a total of 24 doors in order to exit the rat race. 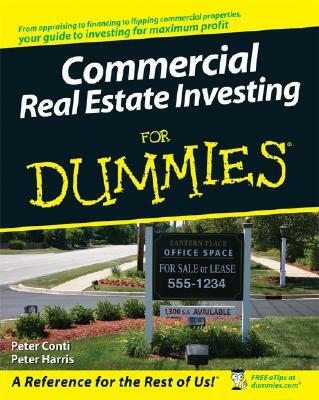 I want you to watch a video called “Analyzing Commercial Real Estate Quickly and Easily.” It’s a video I did a while back that will help you further understand these calculations. 1. I printed out eight copies of my one goal. My one goal was to achieve that $4,200 in passive income per a month by a certain date. I printed out eight copies of this date and put them on piece of white paper. Then I hung these copies in places I would be sure to see them regularly. I put one in my office at my engineering job, one in the refrigerator, the hallway, my bedroom, my living room, and anywhere else that I would be sure to see them. This first step will help you to hold yourself accountable because everybody needs accountability. We all set these grand goals but what forces you to take responsibility to get these goals accomplished? I had mine visible so that when friends and family came over, I could share with them what I was doing, to help me stay on the right path. Wherever I went, I was reminded of how badly I wanted to achieve this goal. I wanted so badly to not work for someone else, and to have true financial freedom. I wanted to have financial options. So I slowly began to weed myself off my engineering job by working less and less each week. You can do that if you can achieve steady passive income. If goals are not written down, they probably won’t get done. I kept a tall on my refrigerator where I wrote my goal number. Then every time I closed a deal, I would subtract the cashflow from that deal until I reached my final goal. I actually ended up exiting the rat race two months early which I attribute to staying focused and being held accountable for something I wanted very badly. 1. Calculate your Rat Race Exit Number. You must watch videos, read books, and do whatever you can to get educated. You must learn how financing works, and all of the different financing options available. I also recommend watching all of my videos and reading all of my blogs from start to finish. You need to figure out a reasonable date that you want to exit the rat race by. Then you need to print out that goal and make it visible so that you can hold yourself accountable and put a little bit of pressure on yourself. You must show people that you are going to do this, and get out there and do it. Have one of our advisors give you a call back and discuss the options and next steps for you. They are very intelligent and kind people that will help you figure out this next step, even if you do not end up working with us. 6. You’ve Got to Want it. You have to want it and be willing to put the work in to get this goal accomplished. There are no excuses allowed, because this is not an easy business. The most successful people in commercial real estate are the ones that are the most determined.